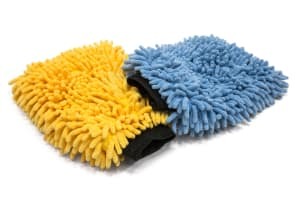 Microfiber mitts for car care are mostly used for washing. Some people, depending on the car wash method they use (Rinseless, traditional, two-bucket), will use multiple mitts. 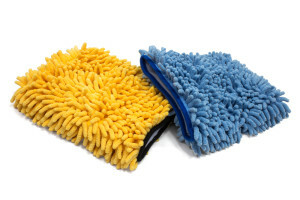 We have a variety of car cleaning gloves types and colors depending on your wash method preference and techniques. Since most people don’t end up using the car cleaning mitt (as a mitt) with their hand inside, but rather outside (on top), we have developed mitts without a cuff, to help prevent scratching from the rough cuff. 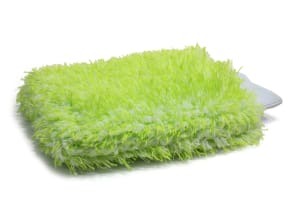 There are two basic types of materials used to make Microfiber car wash mitts, plush and chenille. Plush car mitts have long narrow fibers, while chenille have long thick bundles of fibers, reminiscent of fingers or dreadlocks.